A specialist in IT security and risk management. MXC identified Accumuli as undervalued and with little support (called Netservices at the time with a market capitalisation of c.£1m). 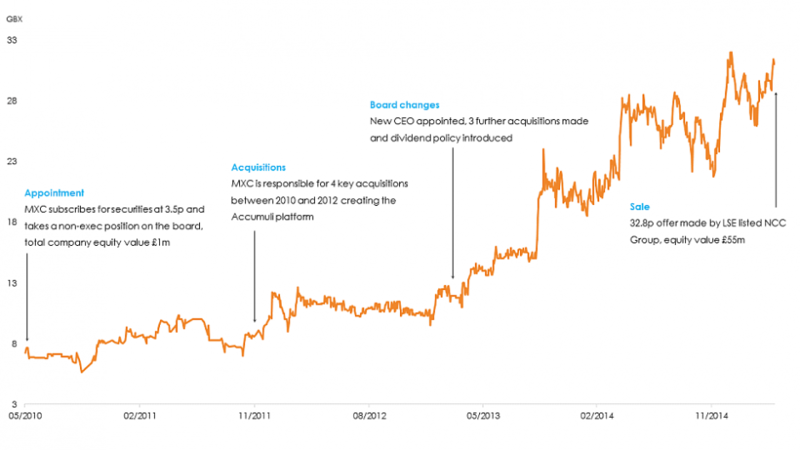 Subsequently, MXC acquired a 15% holding and joined the board in early 2010. In March 2015 NCC Group plc (LSE:NCC) made a 32.8p per share offer representing £55m of equity value and an EV of £65m.